3. 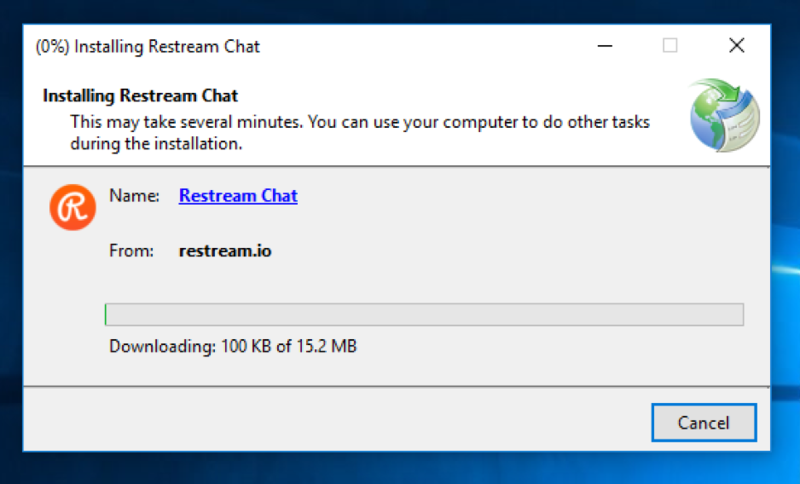 Head over to the Restream Chat section and chose "Download App"
4. 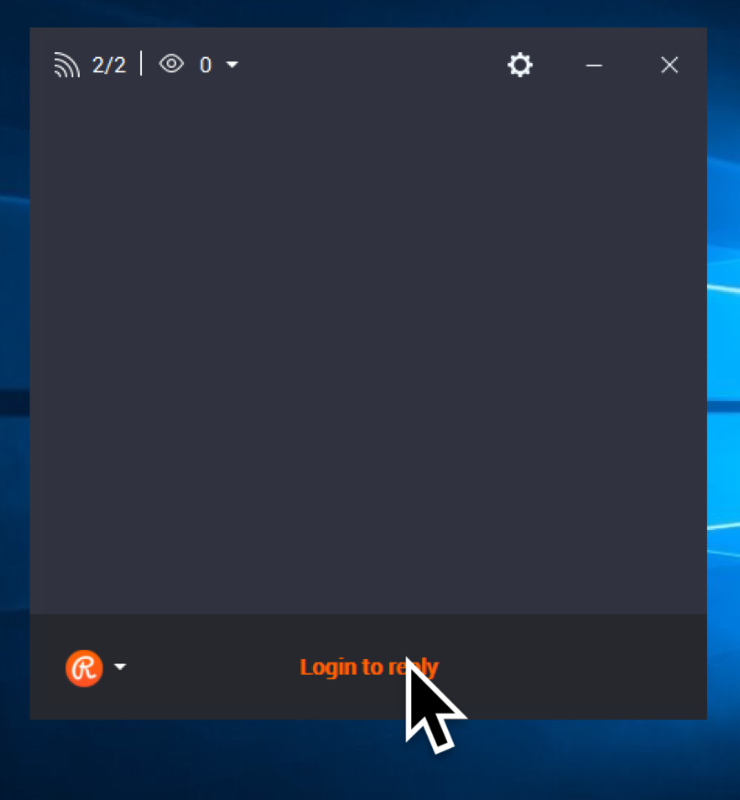 After download choose "Run." 7. 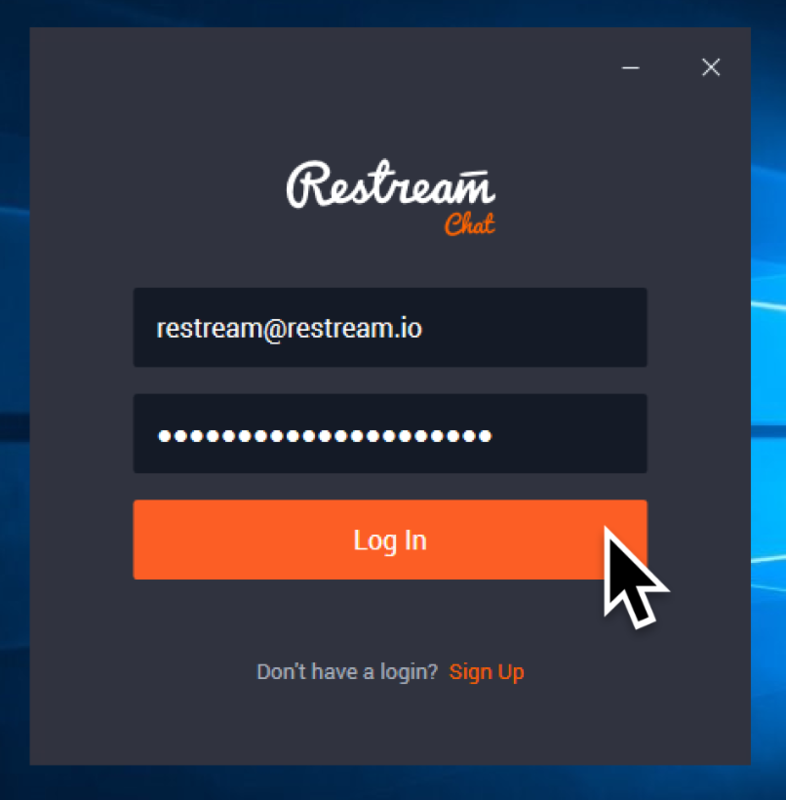 Choose "Login to Reply." 10. 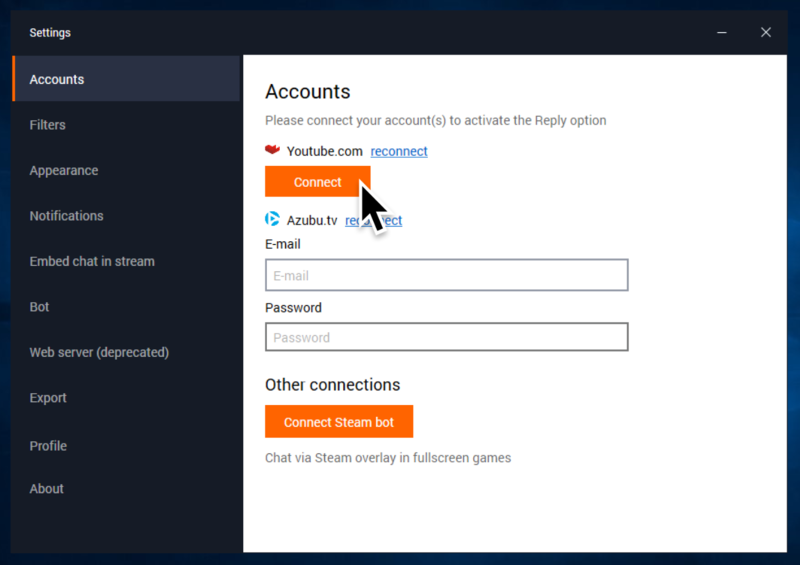 You may now type in chat to reply to all connected channels! 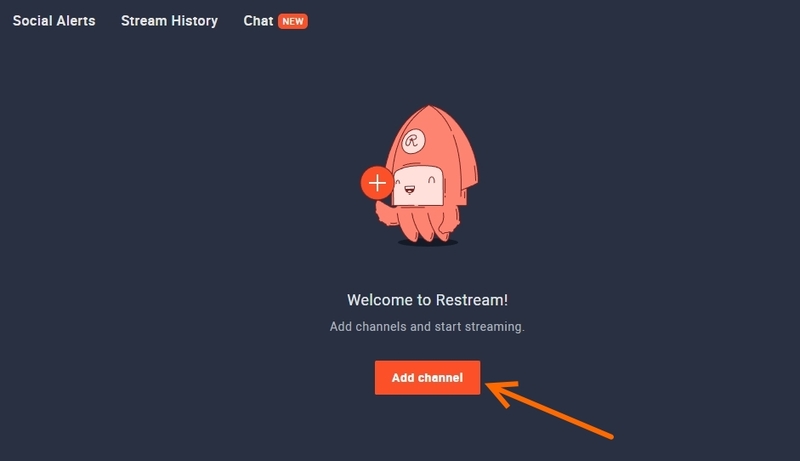 Important: Only some channels support Replies via the Restream Chat. 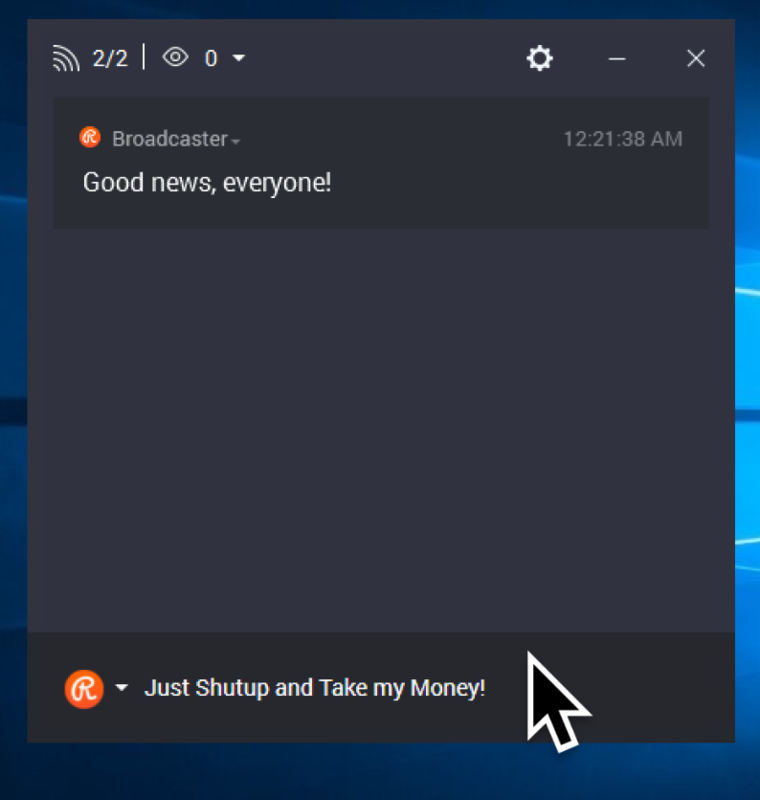 From the Restream Window, you can choose the Drop Down menu located at the top to see your viewers; this will also show you which channels have replies available and how to enable it. 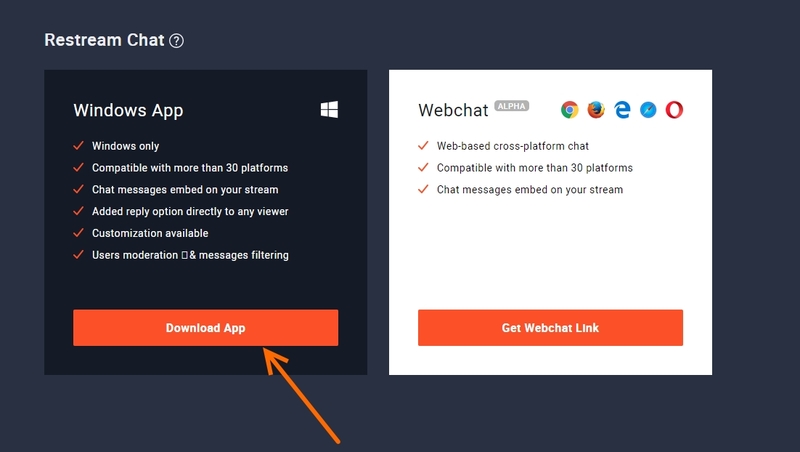 You can also check our chat supported platforms for more information.